We are a married couple who regularly discuss and debate the finer points of geek culture. Thus, comparative: we bring in a varied perspective to things, and like to compare book to movie, movie to game, show to comic, etc. We’ll be writing reviews and comparisons, as well as looking at larger topics in geekdom. What kind of geeks, you ask? Well, we’re gamers. Tabletop, card, board, roleplaying, video… you know, gamers. We’re media geeks; we read books, blogs, comics; watch tv, movies, YouTube channels… Check out our definition of geek here. Check out our About page; contents subject to change at any moment! Here we list some of our favorites — long-standing favorites and current ones! And we keep making lists! If you want more, check out some of our Reviews and Recommendations! One thing we do is Litlix – where we read the book, watch the movie, and rather than talk about whether the book or movie is better, talk about how they turned the book or comic into a film! Check out the full list from 2013 here. We also like to look harder at the characters that we love – or love to hate – in the fictions and fandoms we love. We call this Character Studies, and if you look, you may find one about a character you love! We also like to talk about big topics like Time Travel and how Science Fiction relates to modern life; and about the fictional worlds we love like Game of Thrones and Doctor Who. One project we are currently working on figuring out is Geek 501. The idea is for it to be a primer on geekdom, explaining what things are or why geeks love them. A geek 101, but at a higher level since we both have Masters. Get it? Anyway, if you have any ideas for this series, let us know! Hope that some of the links above help you to get a sense of who we are and what we do here! If you like what you see, follow us, or like us on Facebook – or both! We also do a bit of micro-blogging on Twitter, check out @compgeeksholly and @compgeeksdavid. And we’ve started up a Tumblr, where we share some of our favorite finds, and are adding some material of our own! And let us know in the comments below if there’s anything else you’d like to see from us here on Comparative Geeks! We have completed the A to Z Challenge two years, and get to mark ourselves as Challenge Survivors! We were nominated for the Liebster Award, which requires us also to list some answers to questions asked by the nominator, as well as then nominating other blogs! Check out our acceptance post here. 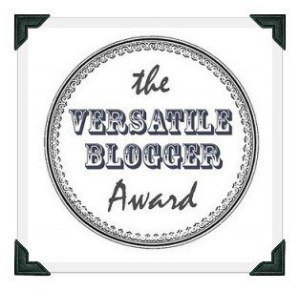 We also were nominated for the Versatile Blogger Award, for which we were quite honored. 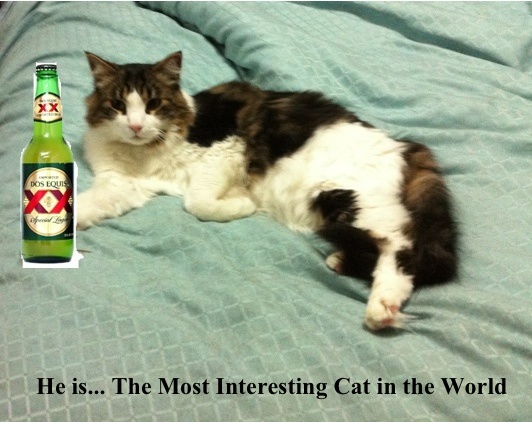 Again there were questions and answers, and nominations anew! Check out our acceptance post here. And we got double-nominated for the WordPress Family Award and the Very Inspiring Blogger Award. So we double-accepted, doubling-up the nominations list. You can check out the 15 blog recommendations here. Hello! I am a new blogger and just found your site. I’m excited to spend some time here reading what you have written. Thanks for the great introduction! Welcome to the Blogosphere! We have a pretty active Doctor Who tag, and hopefully plenty else you might be interested in!